In part one we looked at the pioneering and highly influential work of George Méliès, the business model as created for the American market by Thomas Edison that would pave the way for the big Hollywood studios of the 1930s, and the first major star of horror Lon Chaney. In Part two we cast our eyes back to Europe to look at the shadowy world of the German Expressionist movement in cinema, as well as Britain's contribution to the history of horror, and finally how the monsters finally got their voices. The German Expressionist movement, perhaps more than any other style of cinema, has gone on to cast the longest shadow over horror films. Highly stylized and dreamlike, films made use of bizarrely constructed sets, long shadows, and distorting reality full of themes of a deeply psychological nature. The Expressionist films of the 1920's began to gain international notoriety as the anti-German sentiment of the post war years gradually began to fade and would have an noticeable effect on horror and film noire in the 1930's both in terms of the look of the films, as well the style of direction with several stars and directors making the jump to Hollywood when the Nazis gained power. The origins of the Expressionist movement can be traced back to 'The Student Of Prague' in 1913. Written by Hanns Heinz Ewers and directed by Stellan Rye (his only film before dying in France during World War I), the film is a Faustian tale of obsession and magic that led to the film's star, Paul Wegener, gaining the role in the famed 'Golem' trilogy. The film displays many of the prototypical features that would become prominent in later expressionist outings for the likes of F.W. Murnau, Robert Wiene and Fritz Lang. However, it is 1920's 'The Cabinet Of Dr. Caligari' that has the honour of being the most definitive of all the expressionist films. Directed by Robert Wiene and staring Conrad Veidt as the murderous somnambulist Cesare. '...Dr. Caligari' is one of the most overt uses of what would come to be known as horror to date. The angular misshapen sets, the dark-eyed and twisted antagonists, stark lighting with emphasis on dark shadows, murder, madness, and a twist ending have continued to resonate with fans of horror cinema ever since its release. ...'Caligari' had an undeniable star in the form of Conrad Veidt who would appear in another of Wiene's production 'The Hands Of Orlac' (1924) – a dark tale of a concert pianist who loses his hands in an accident only to have a murderer's hands transplanted on and which drive him to a killing spree. Films such as 'Waxworks' in 1924, and the 1926 remake of 'The Student Of Prague' ensured Veidt was written into the annals of Horror Cinema, while his performance as the disfigured Gwynplaine in the Paul Leni directed 'The Man Who Laughs' put him on a par with Lon Chaney for his dedication to uncomfortable makeup effects. The other film that can just as easily claim to personify the German Expressionist movement is also the first attempt to bring literature's most famous vampire to the big screen. 'Nosferatu: Eien Symphonie Des Grauens' (1922), directed by F.W. Murnau and staring Max Schreck as Count Orlok, is an unauthorized adaptation of Bram Stoker's 'Dracula' that was nearly lost save for one copy that survived and continued to influence horror fans. Schreck's rat-like count is reminiscent of the angular sets of 'The Cabinet Of Dr. Caligari' while the long dark shadows and stop-motion gives the film an undeniably nightmarish quality. It is the film's use of shadows that has given rise to the most famous scene in all of silent cinema, where the count's shadow is seen climbing a staircase and opening a door near the climax of the film. It is a simple enough effect, but one that has reached into the fabric of cinematography. 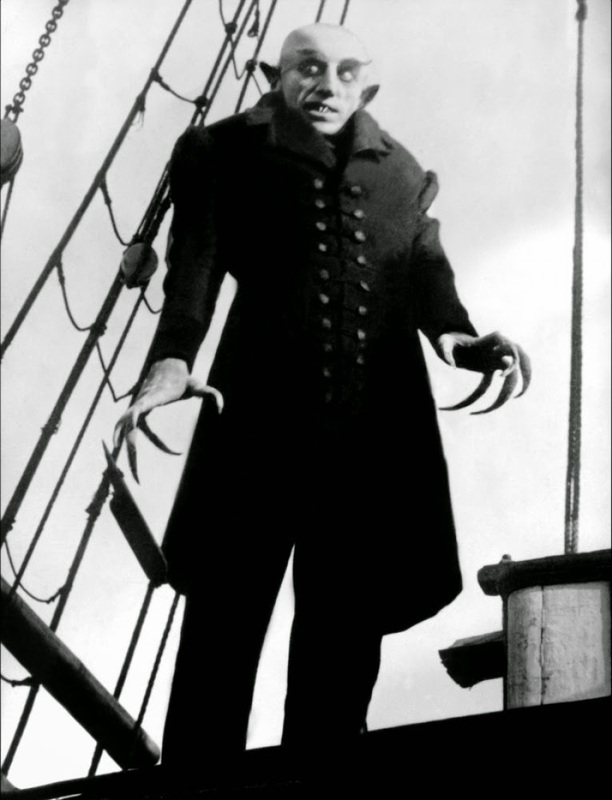 Today 'Nosferatu...' may look clichéd in a world full of vampire films, but this is one where all of the conventions and themes of the vampire film began. Murnau made another important contribution to horror in the form of 'Faust' in 1926. Based on both the Goethe novel as well as traditional versions of the tale, Lang brought the infernal characters to life in an lavish production that would push the finances of UFA to their limits (only to stretch them further the following year with Lang's sci-fi epic 'Metropolis'). With a bigger budget, and better effects, the film is a richer production than 'Nosferatu', and it has stood the test of time as well even going on to influence Disney for the film 'Fantasia'. Fritz Lang dipped his toe into the horror genre as well with the 1921 framed portmanteau 'Destiny'. The film isn't strictly a horror but the plot involving a woman trying to make a deal with death to save her lover does aesthetically link it to the likes of '...Caligari' and 'Nosferatu'. The film veers into fantasy, drama and adventure that proved to be a big influence on Douglas Faibanks for his film 'The Thief Of Baghdad' (1926), as well as the likes of Alfred Hitchcock and Luis Buñuel. The expressionist style soon began to spread out from Germany to other European nations with the likes of 'Haxan' (Swedish/Danish), 'The Phantom Carriage' (Swedish) and 'The Fall Of The House Of Usher' (Spanish) all taking their cues from the pioneering styles of likes of Wiene, Murnau and Lang. These may have been overshadowed by the German film makers for much of the 20th century, but the docu-drama style of 'Haxan', the structure and effects used in 'The Phantom Carriage' and 'The Fall Of The House Of Usher' have had a strong effect on later directors such as Ingmar Bergman. Great Britain's contributions to horror cinema are inexorably bound to the films of Hammer and Amicus in the 50s, 60s and 70s. But Britain's contribution to the silent roots of the genre, while somewhat eclipsed, was still developing in it's own unique way. From the short trick films of early cinema, it slowly evolved and developed throughout the silent era and into the talkies until the British film industry was forever linked to horror. Shortly before the pioneering effects of George Méliès would go on to capture the pre-first world war imagination on both sides of the Atlantic, an English inventor named Robert W. Paul made his mark on the fledgling medium. Starting out in the Kinetoscope market, Paul would go on to invent the first British-made film camera and projection system. His biggest innovation came in 1896 with the invention of a portable field camera that could capture multiple exposures on the same role of film, which would directly lead to the the first “trick” films that would make use of these special effects. In addition to inventing Paul would also, like Edison, found his own film production company and film studio that would produce a variety of different kinds of short film for music halls around the country. Two of the most notable are 'The Haunted Curiosity Shop' (1901) and 'Scrooge, Or Marley's Ghost' (1901). 'Scrooge...' being the oldest adaptation of a work by Charles Dickens for cinema. The film is a heavily streamlined retelling of 'A Christmas Carol' that dispenses with multiple ghosts in favour of Scrooge's deceased friend Marley showing him his past present and future. Like Méliès the films lack any potential shock, and instead plays up the camera trickery. Another film to come out of Paul's production line is the dark but ultimately comical 'The Freak Barber' (1905). Directed by J.H. Martin, the film sees a barber behead his customers, who eventually rise up and dismember him in return for his diabolical crimes. Again with a comedic element to it and an emphasis on the clever camera tricks the film lacks any real sense of horror, but its subject matter is nonetheless quite dark. A contemporary of R.W. 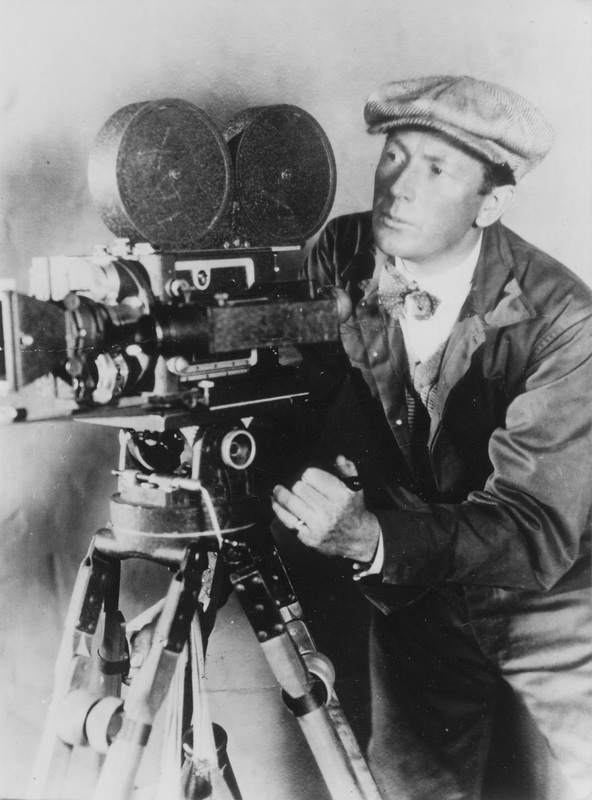 Paul, Cecil M. Hepworth was also quick to sieze upon the popularity of moving pictures. Hepworth produced a large number of short films in the pre-war years before moving into longer productions. He is perhaps most notable for being the first person to commit 'Alice's Adventures In Wonderland' to film in 1903, as well as developing an early method of adding sound to his films with his Vivaphone invention. But for the purposes of this article it is his 1914 film 'The Basilisk' that links him to the development of horror cinema. This 28-minute long film sees a mesmerist become obsessed with a young woman who is engaged to someone else. He uses his powers to put her into a trance and orders her to kill her fiance but is foiled by the appearance of a deadly serpent. The occult power of mesmerism echoes the later 'Cabinet Of Dr. Caligari'as is a classic morality tale which sees good triumph over evil in a more horror-orientated style than previous films. Like George Méliès Hepworth's fortunes would ultimately take a turn for the worse. His melodramatic style failed to keep up with the grand productions of Hollywood and the cerebral style of the Germans. Ultimately his production company would fold, despite his earlier acclaim, and he would declare bankruptcy. However, thanks to the likes of Hepworth, British horror cinema would go continue to grow and develop its own identity. Adaptations of great novels such as Dr Jekyll and Mr Hyde (1913), The Picture Of Dorian Gray (1916), The Hound Of The Baskervilles (1921) would become the first of many film outings for their authors works. While characters such as She, Faust, and Sweeny Todd would become popular in their own right inspiring many films both in the silent era and beyond. Also locations such as Madame Tussauds would also become ingrained in the public consciousness thanks to films such as 'Chamber Of Horrors' (1929), which would use the wax museum as a backdrop for it's plot Indeed the groundwork was laid for British horror's ultimate coming of age in the 1950s, 60s and 70s with Hammer and Amicus' glorious and titillating technicolour productions. 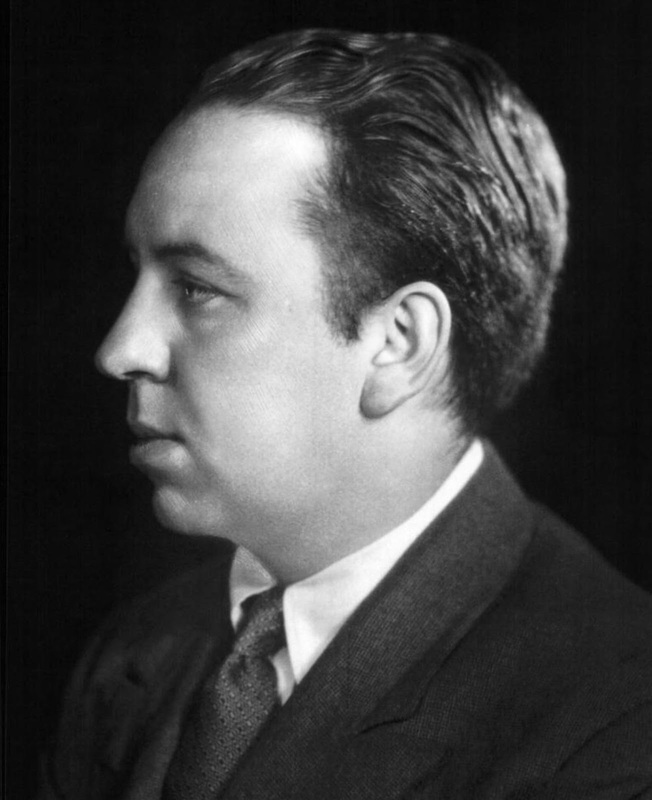 Britain's undisputed biggest contribution to horror though came in the form of the renowned director and master of suspense, Alfred Hitchcock. 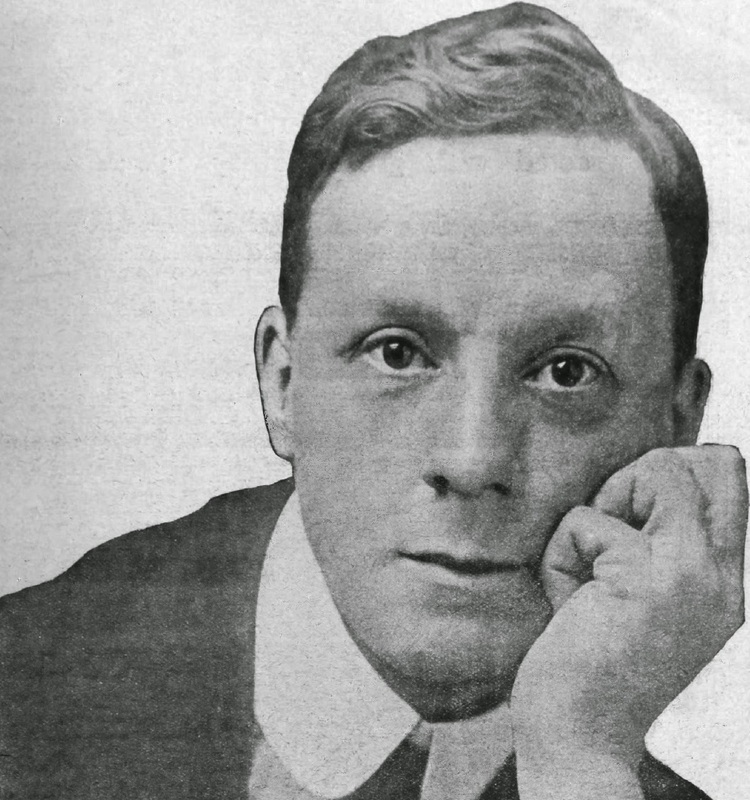 The young director worked in his native England and briefly in Germany before finding fame in Hollywood. Initially his films proved to be cursed. Starting out as a title designer he worked his way up to the position of director and took the helm for a number of pictures in the early 1920's for Gainsborough Pictures a combination of financial problems and commercial flops almost ended his career before it had begun. However during this time he was able to work in Germany and witnessed part of the filming of F.W. Murnau's 'The Last Laugh' an experience that, in combination with Fritz Lang's 'Destiny', would profoundly impact the future style of the young Hitchcock. 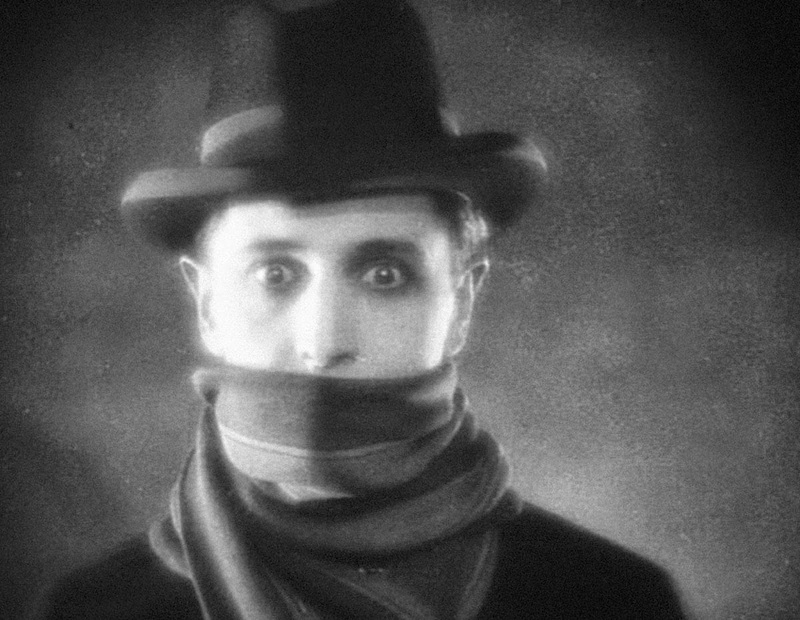 These German Expressionist influences would emerge in Hitchcock's first major hit film, 'The Lodger: A Story Of The London Fog' (1926), which would also be his first major contribution to the horror genre. This atmospheric thriller stars Ivor Novello in the title role, playing a shady man that has taken up residence at a London boarding house against the back drop of a hunt for a Jack The Ripper style serial killer known as “The Avenger”. The film saw the introduction of classic “Hitchcokian” themes that would continue through films such as 'Rear Window' (1954), 'Psycho' (1960), and 'The Birds' (1963). This brings us back neatly to where we began. The slow development of the horror genre from the advent of trick films, though the stream-lined melodramas to the German Expressionist movement would come together with one more important element to kick off horror as a genre in it's own right... sound. Experiments with adding sound to film had been around for a couple of decades in various forms, and indeed some silent horror films had elements of sound featured with them as a result. One prime example is the Carl Dreyer directed film 'Vampyr', which was actually recorded in 1932. As a result of the new technology the film was recorded in different languages and therefore featured little dialogue, relying instead on title cards. The shooting of the film pre-dates the advent of the Universal Studios monsters, but German studio UFA delayed the release until the American films had premièred. In comparison of 'Dracula' (1931) and 'Frankenstein' (1931), Vampyr feels archaic. Its expressionist and often dreamlike style is still very much in keeping with the conventions that Universal incorporated into their own films, but the lack of faith in adding audible dialogue led to the films commercial failure. 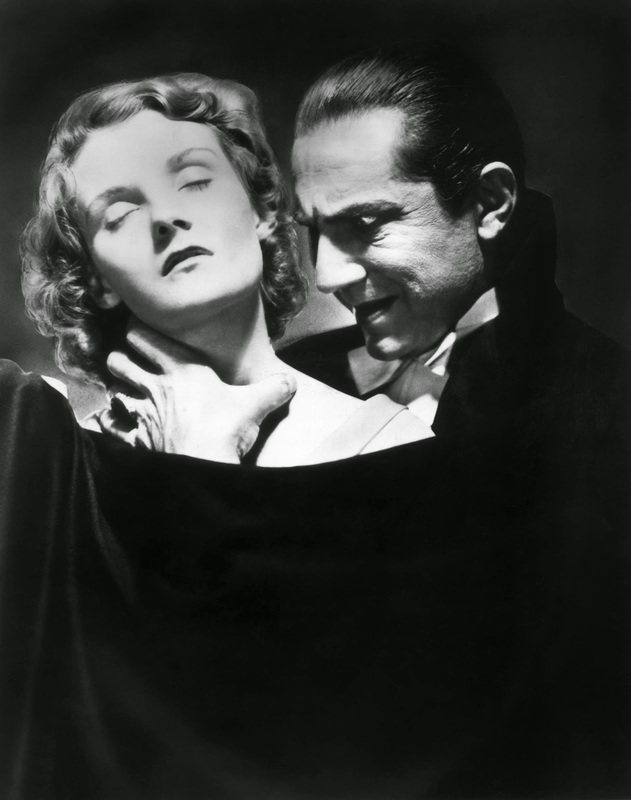 'Dracula' and 'Frankenstein' however, proved to be huge international hits. Bela Lugosi's suave persona and exotic voice would form the blueprint for every subsequent depiction of Count Dracula in popular culture. As would Boris Karloff's staggered growls and lumbering gait serve to cement the image of the creature. Drawing elements from the early trick films, the lavish makeup of Lon Chaney, and the shadowy expressionist movement, the addition of sound brought a whole new and much more personal dimension to the monsters that would, as Edward Van Sloan says in the introduction to 'Frankenstein'; “thrill”, “shock”, and even “horrify” the audience and turn horror into Hollywood's biggest money maker. That's it for the final part. Don't forget to have a look at part one if you haven't already, and make sure you add these films to your Halloween viewing this year!